I now have a brand new silver car. It also came with an unwanted extra, an orange warning light. That came on after abut 10 miles, and its still on. Checked the book, and it says one of the tyre sensors is missing. Hmmm, so I rang Dacia and they said bring it in. I was all set to drive to Manchester on Tuesday, maybe have a beer and a spot of lunch with some mates, and let Dacia have a look at my light. However, Sally then came home. So, after a brief phone call Dacia are now coming out to me on Tuesday. They will take away my silver car with an orange warning light and leave me with a courtesy car. They didn’t say what colour. They will also return my silver car without orange warning light. Not a good start! Fine tuned my brisket recipe on Thursday (as well as picking up the car). Gave it a spicy dry rub with mustard, cayenne, allspice, garlic powder and onion powder, then let it sit for a few hours. Covered it in foil and roasted it for an hour, then spread chopped parsnips, carrots, leeks & celery in the roasting dish, covered it in a beef stock that contained the rest of the dry rub, put the brisket on the vegetables (just out of the stock), covered it all in foil and gave it another 3 hours. It really was ‘melt in the mouth’ and a definite inclusion in MMM…No2…Cookbook. It was also a very sporty day on Thursday. I had to take Zac and his mates to the netball tournament at Chapel, dash back for the brisket, then head for Whaley football pitch for Ole’s last match of the season. Firstly, I was greeted at Taxal school with the news that I was only taking Zac. Apparently the others did not want to listen to my ‘cowboy’ music! Several of the parents were quite interested though. Anyway, that was before they knew I had a new silver car. The tournament itself was tense, with Taxal A losing out in the final to Harpur Hill by virtue of a golden goal. There were tears, and there was disappointment. Our team like to win! Next stop – the Kwik Kricket competition at Chapel School next Wednesday. Guess who is in charge of the Taxal team? There was disappointment too for Ole as the Under 16s lost 2-0 to Juno. It has been an exhilarating season, after a couple of barren years, and to finish in the top four having played some scintillating football is a great achievement. We are already looking forward to the Under 17s campaign. With all that activity my bike remained in the garage, so yesterday I thought I would head for Marple again. Same problem as Monday – the way was completely barred at bridge 22, but some wildlife on the towpath gave me an idea for a picture. You will have to wait for next week for that one. I may have to try an evening cycle, when there is no work on the towpath and the way to Marple may be clear! 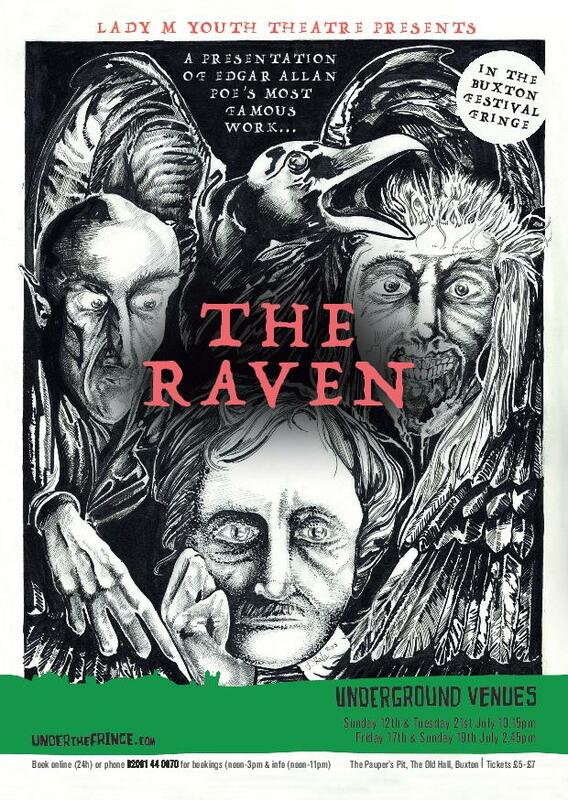 Managed to get through some work on The Raven yesterday, downloading a dripping blood font and designing the programme. Really need someone who knows photoshop to complete it, as well as doing the posters / flyers. Next up it was The History Of Zombies, and another 500 words added to that tale. Ordered proof copy of my mum’s picture book, and looked forward to a busy weekend. Cricket Saturday and Sunday, as well as the Under 11s on Sunday morning. Add to that the Derek Abbott memorial crib tournament and a big pan event in the Sheps on Sunday night, and I will be glad to reach Bank Holiday Monday. Sadly, the Yanks are still working on Monday, so I guess I will be too. Stop press – can’t believe Tesco have run out of frozen peppers! Looks like I’ll have to get chopping.